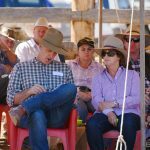 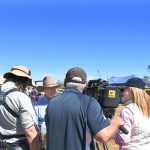 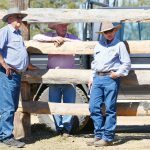 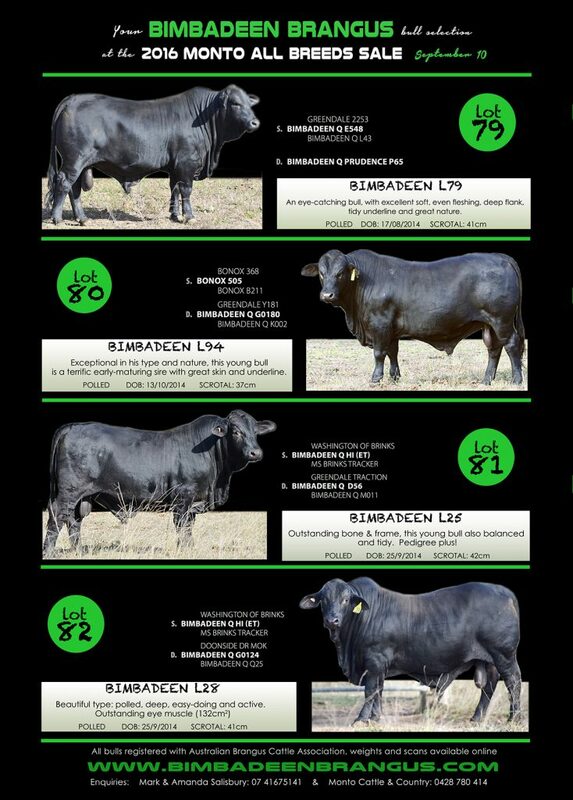 The 2018 Bimbadeen ‘Cream of the Crop’ Sale was held on August 25, at our ‘Arthur’s Knob’ main yards. 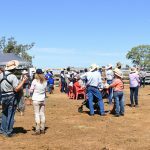 This is our second annual event and despite a dry outlook, we enjoyed strong support from breeders from as far away as Victoria. Red Brangus bulls ready for the Helmsman sale. 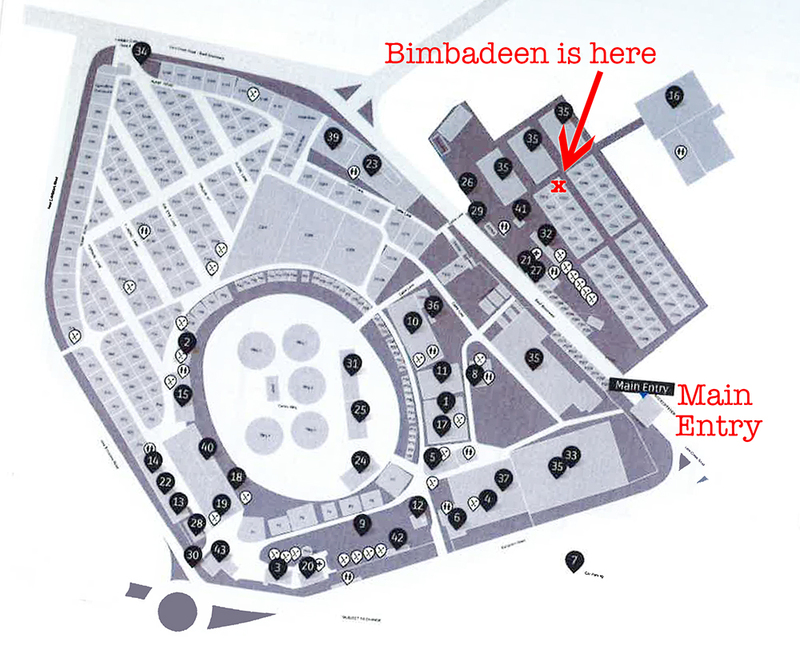 Enjoying the seating and the Bimbadeen merchandise. 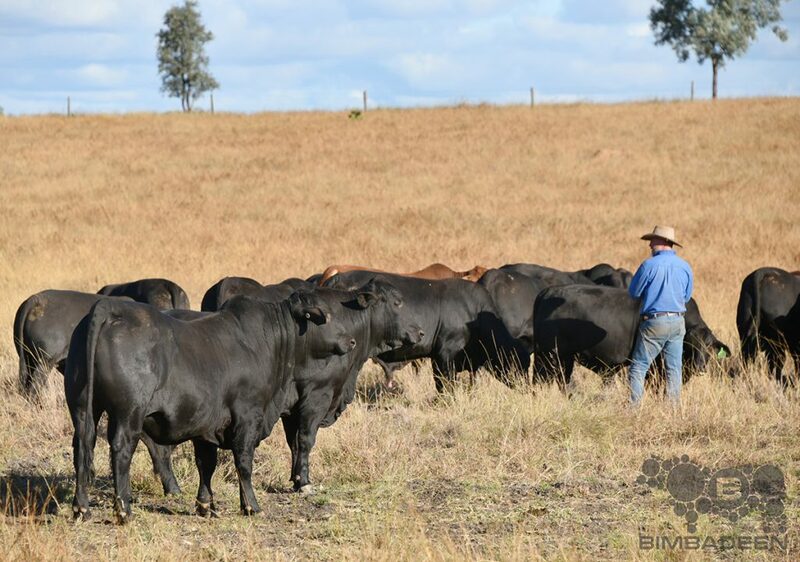 Live auction lots being inspected. 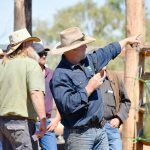 The sale gets underway, with Elders auctioneer Brian Wedemeyer at the microphone, and Mark with Bimbadeen Moonshine in the ring. 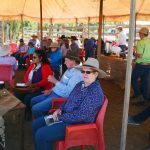 A panorama showing the crowd. 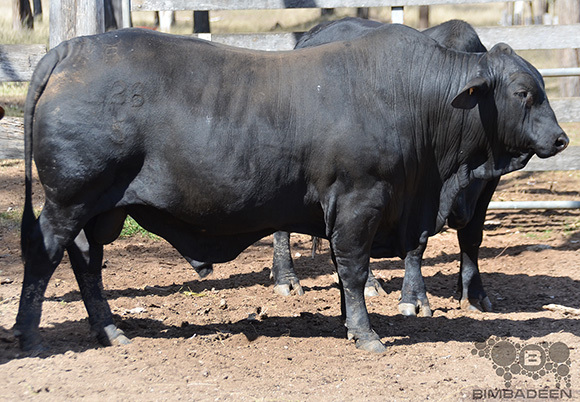 Bimbadeen Nugget goes under the hammer. 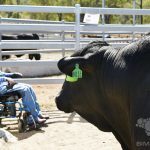 Nugget waits for a scratch while being auctioned! 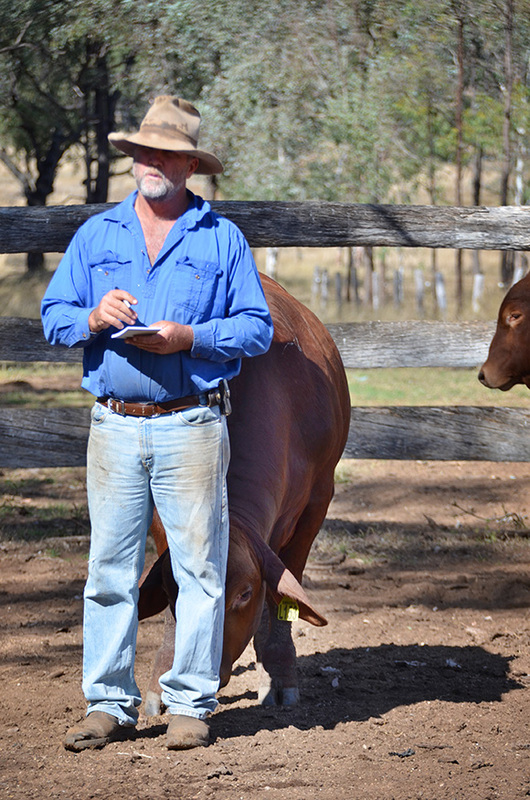 Mark chats with long-time buyer Glenn Chapman. 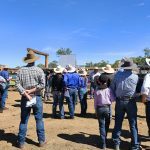 Crowds inspect bulls and find their seats before the Helmsman auction. 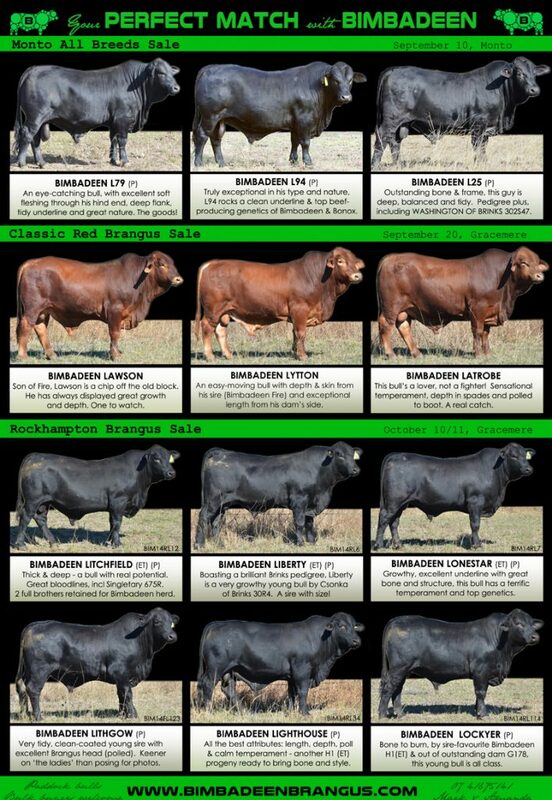 Ready for the second part of the sale to commence. 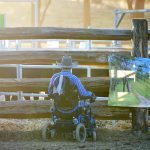 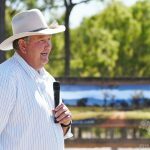 Brad McInally from ‘Monto Cattle & Country’ during the Helmsmann. 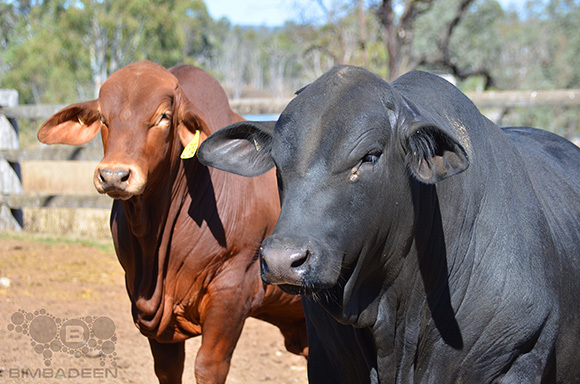 Sandy and Elvis Pointon, local cattlemen who purchased at the Helmsman sale. 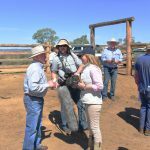 Mark and Amanda thanking the buyers, bidders and helpers after the sale. 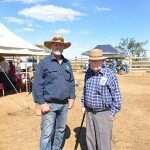 Great to see neighbours here, including 102 year old Max Hockey. 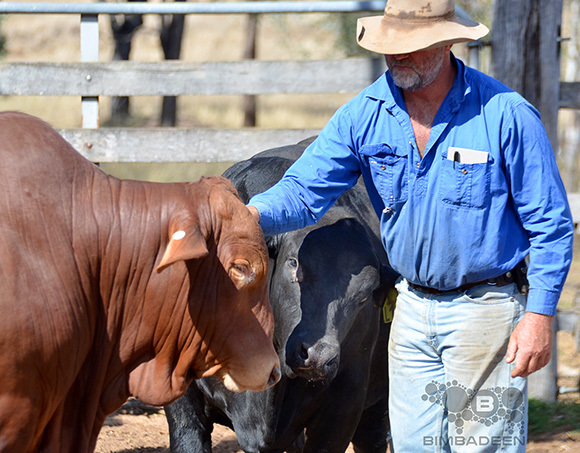 Australian Brangus magazine photographer Kent Ward with Amanda. 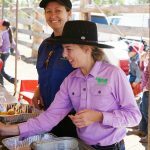 Sophie, Josie and Ysa (with chef Viv) manning the food shed. 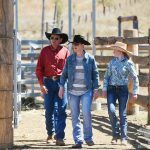 Some of the behind-the-scenes helpers, Jack, Jeff and Emily. 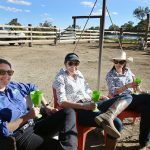 Amanda with a few more of the crew, relaxing post-sale. 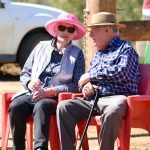 Celebrating Bimbadeen matriach Barbara’s 80th birthday (with husband Bruce, and children Grant and Amanda – Sophie out of shot). 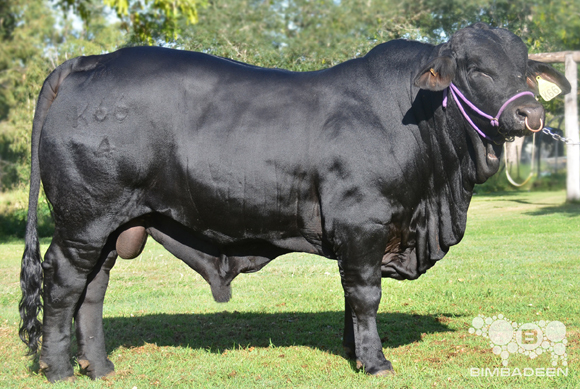 The sale’s top-price bull Bimbadeen Memphis (lot 2) – 3/4 share sold to Bruce Woodard of Bonox Brangus for $14,000. 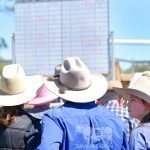 We thank everyone who attended on the day, the buyers and bidders and those who worked so hard behind the scenes to make the day another great success. 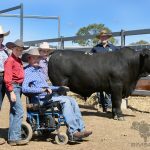 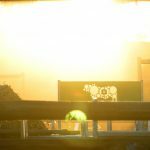 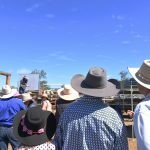 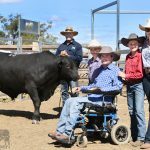 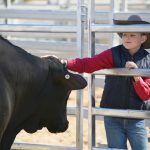 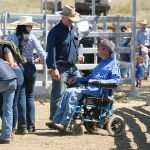 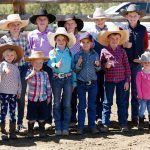 The date for 2019 Bimbadeen Brangus Sale has been announced – it will be held on Saturday, August 24 this year. 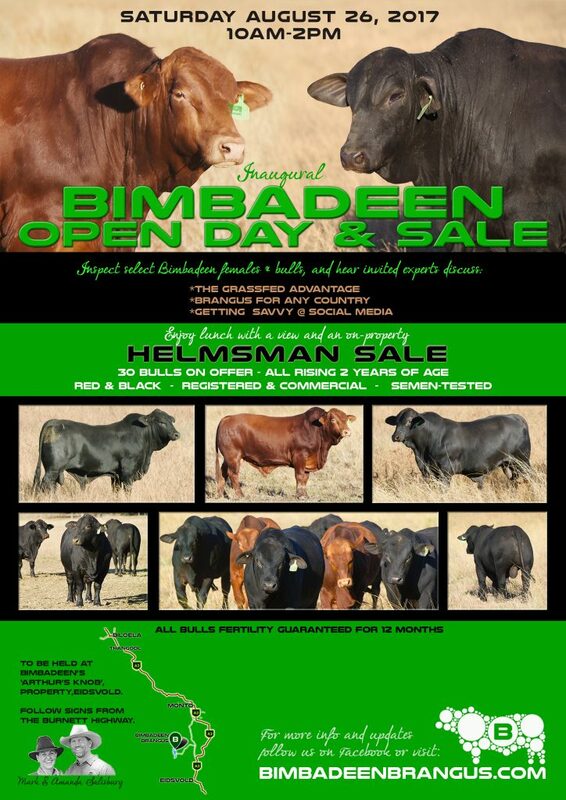 We would love you to secure it in your calendars and hope to see you here! 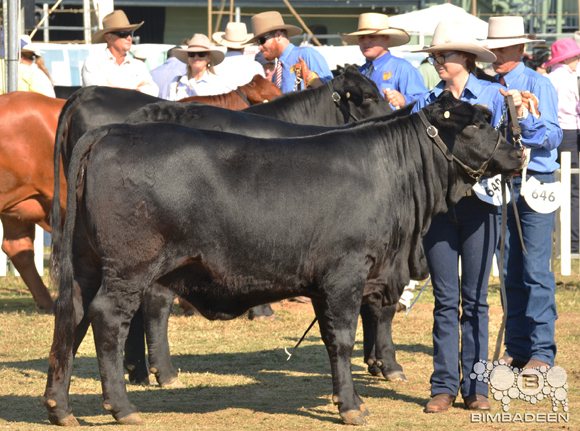 What a week we had a Beef Week 2015! 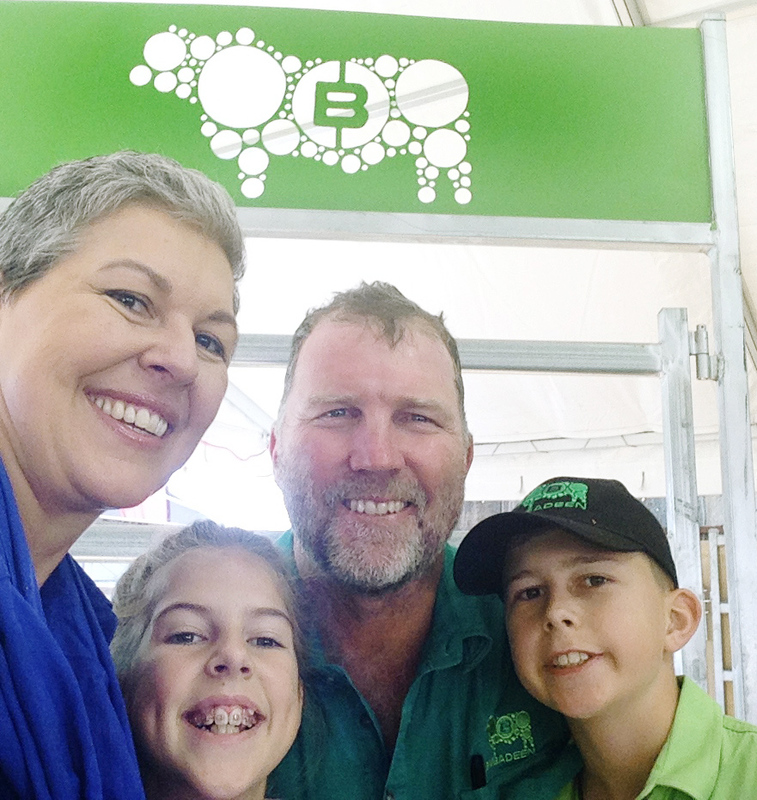 Mark, Amanda, Jack and Sarah were joined by friend and local agribusiness specialist Lisa Londsdale. 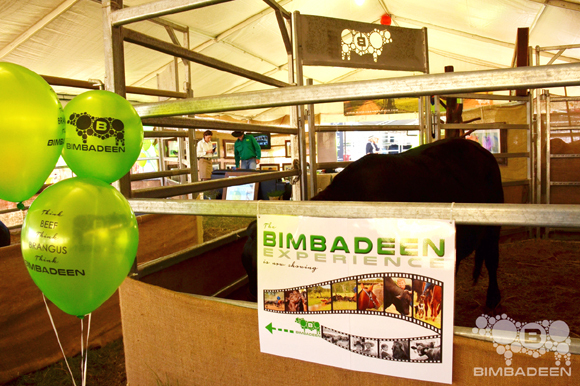 We shared a special presentation with visitors called ‘The Bimbadeen Experience’ which we plan to share on this website very soon! 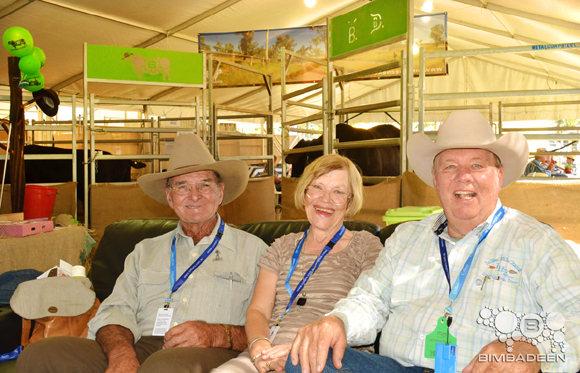 We had many special visitors, including Buck Thomasen from Indian Hills Ranch, Texas, USA (pictured here with Bruce and Barbara Burnham, founders of Bimbadeen Brangus). 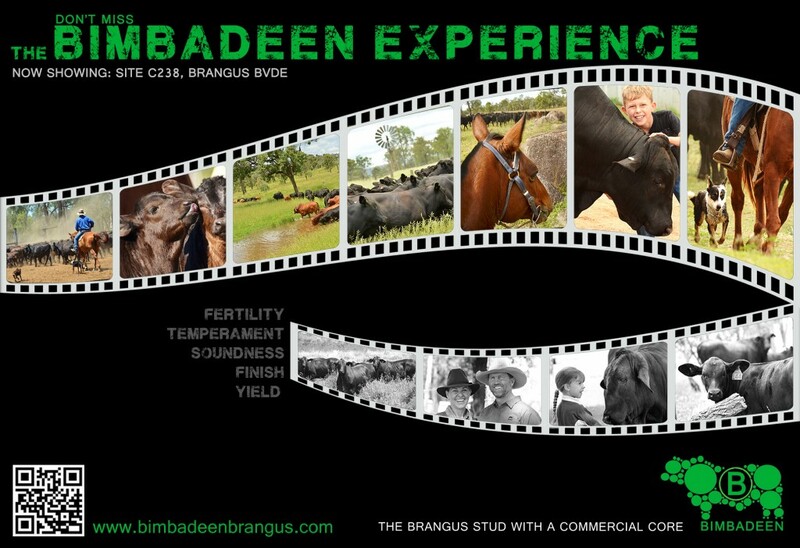 We were pleased with our couple of young Bimbadeen representatives in the show arena. 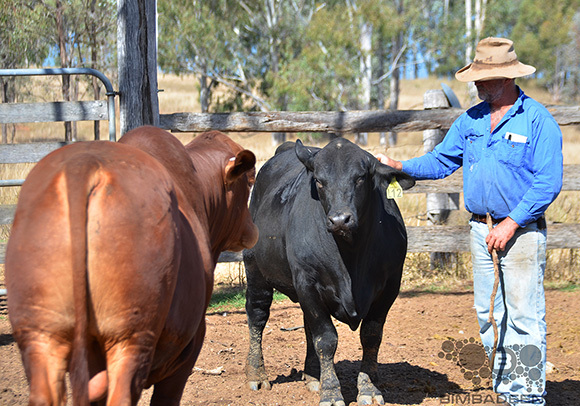 Mark talked bulls and heifers for five days! 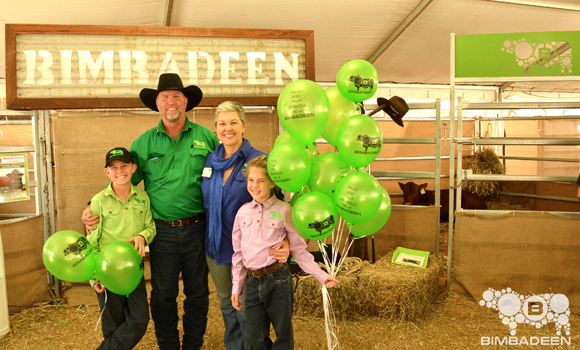 And many, many bright green Bimbadeen balloons were handed out to youngsters who visited us! 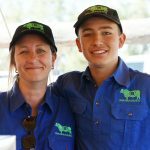 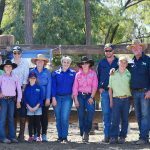 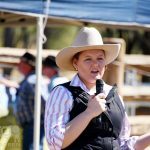 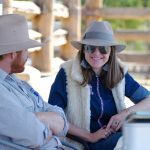 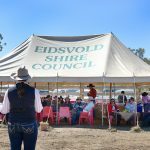 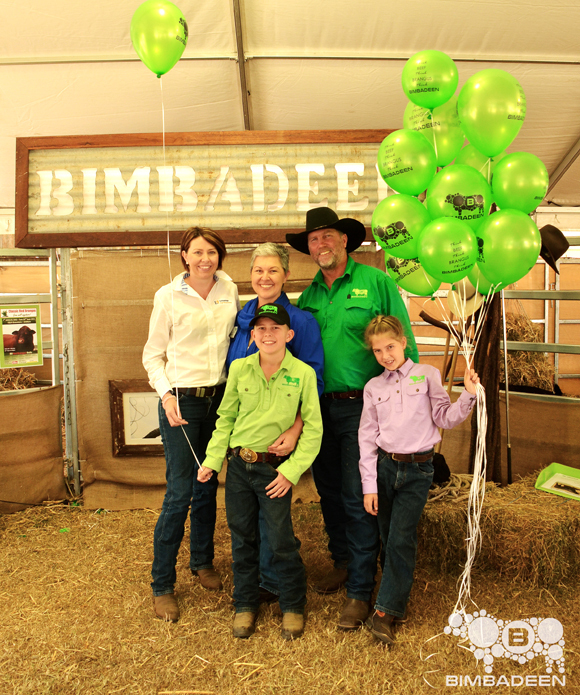 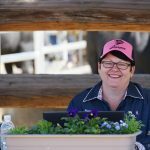 We’d love to thanks everyone who helped make this amazing trade fair possible – especially those suppliers who went above and beyond with our re-branding effort, our jillaroo Mikki who lead our cattle in her second ever cattle show, fellow Brangus who helped our site happen. 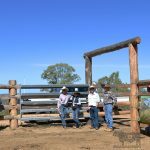 It was a huge team effort! 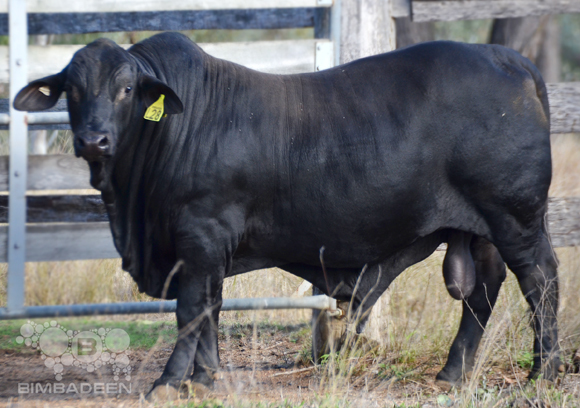 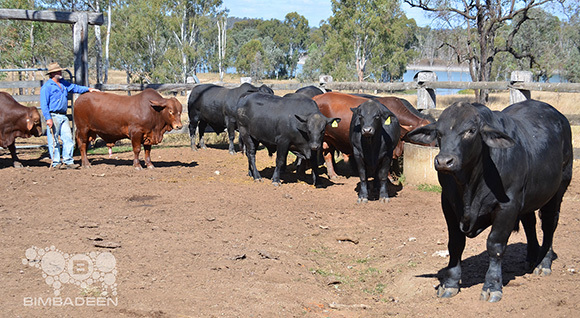 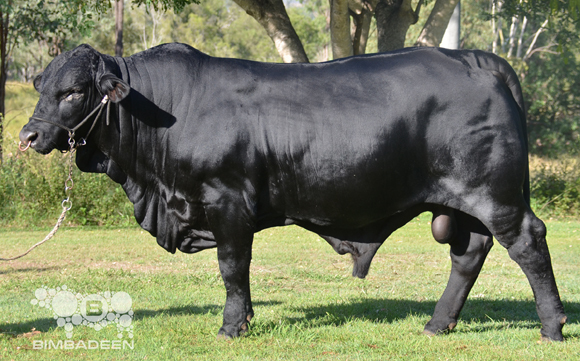 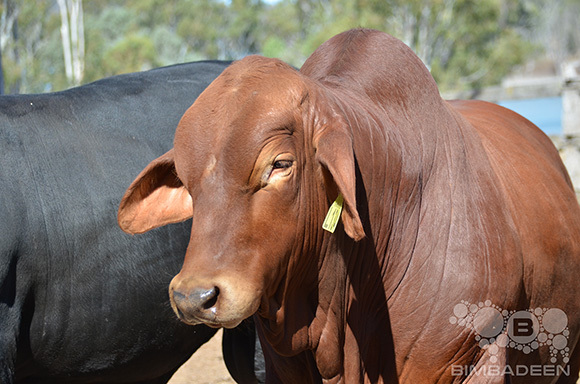 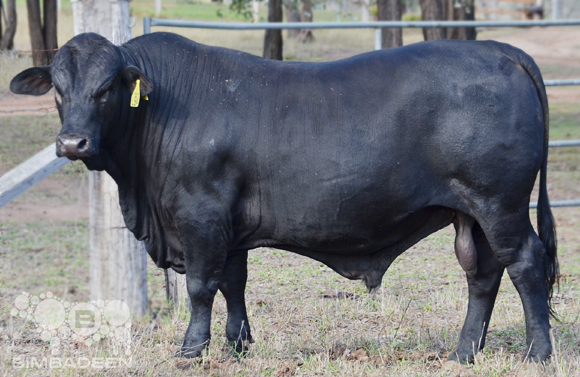 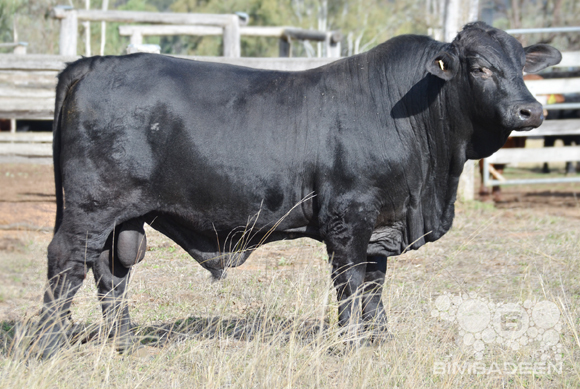 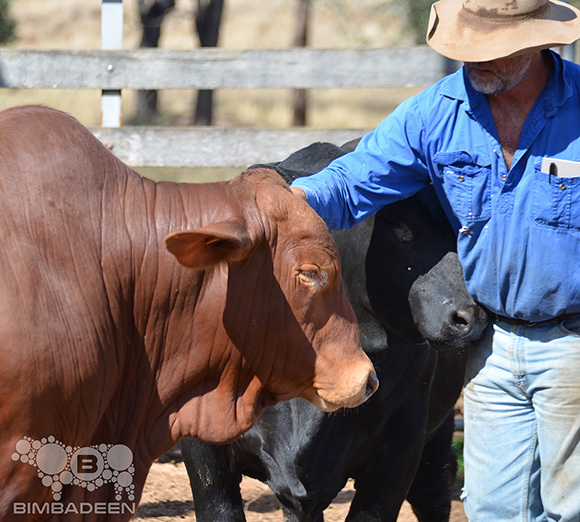 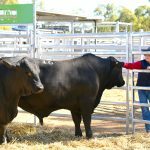 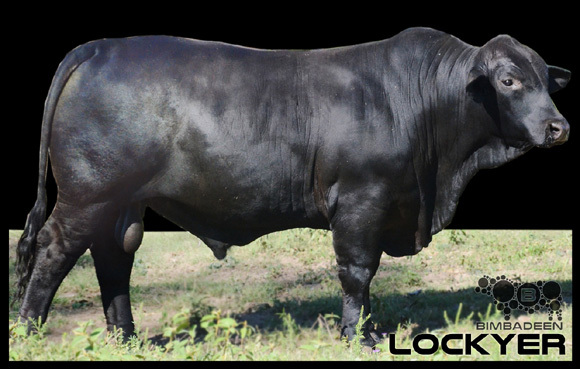 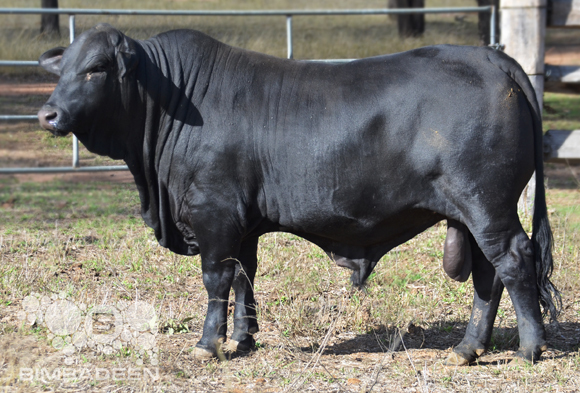 We look forward to seeing many of you here at Bimbadeen for your paddock bull inspection – red and black Brangus bulls ready for the breeding season ahead. 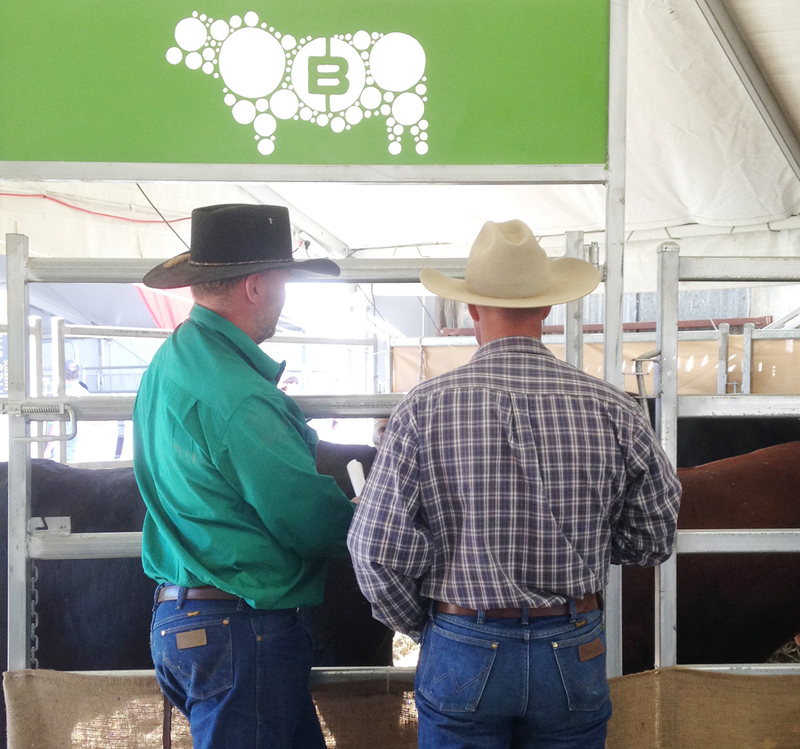 Mark and Amanda have their heads down over the past few weeks, getting the finishing touches completed on preparations for their trade site at Beef 2015, Rockhampton Showgrounds May 4-9. It’s been a flurry of grooming, welding, photographing and computer tapping here, with Bimbadeen’s ‘branding’ undergoing a bit of a makeover too! 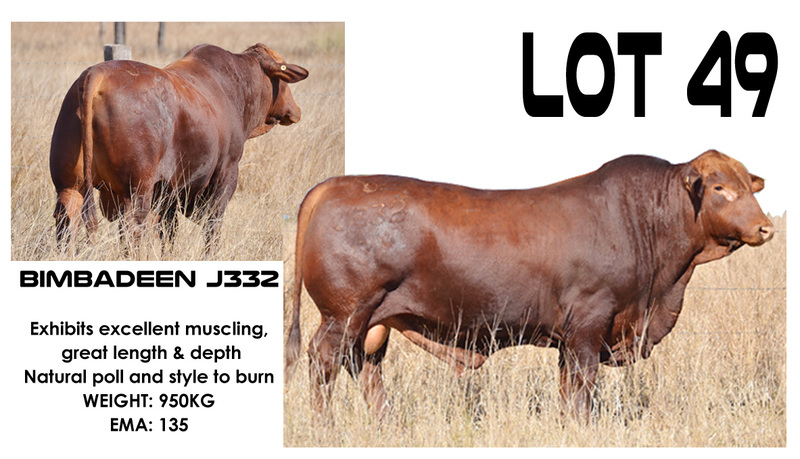 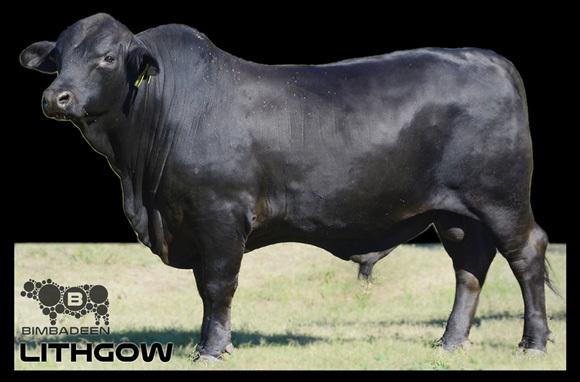 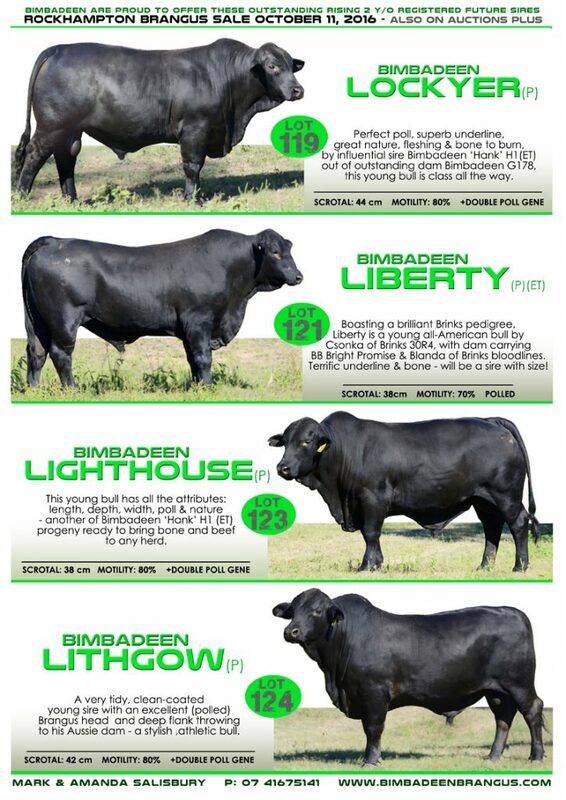 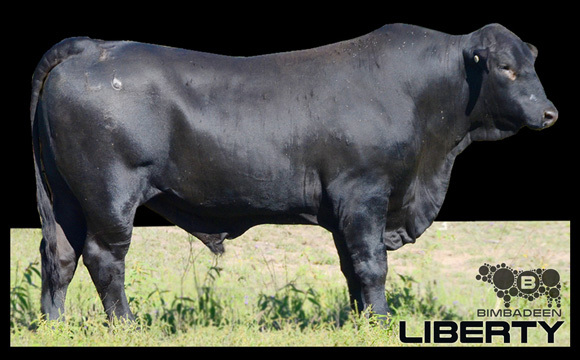 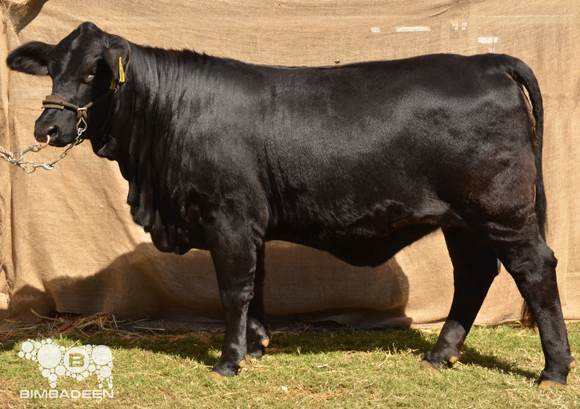 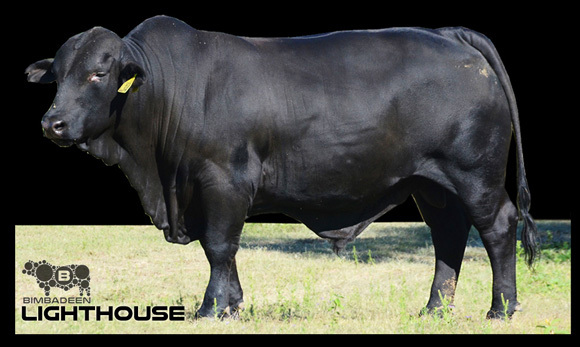 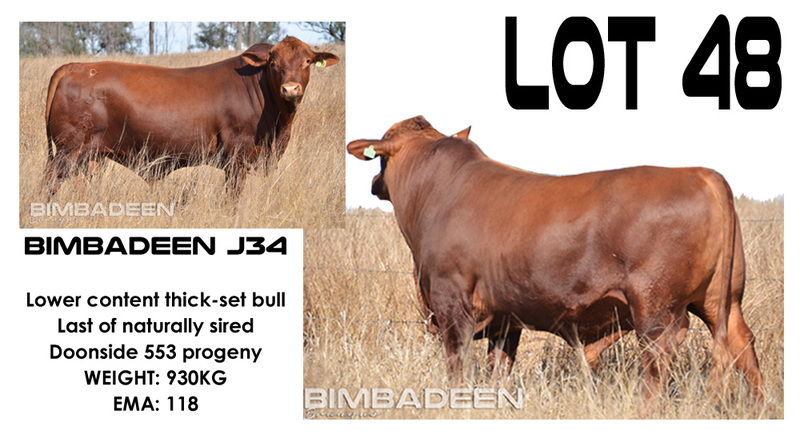 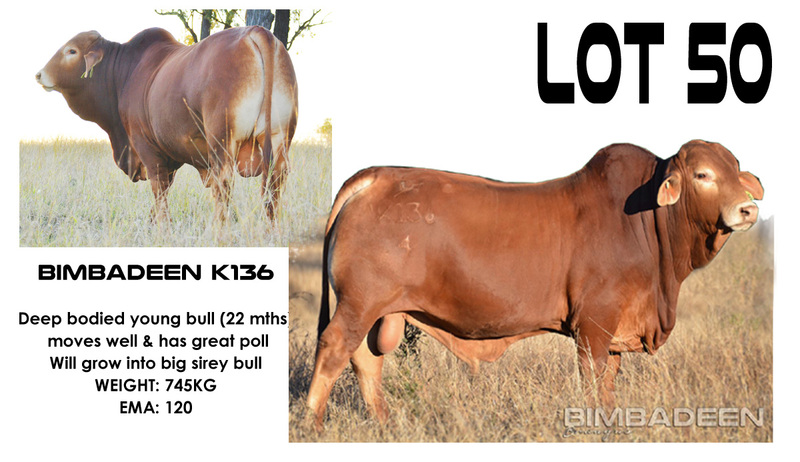 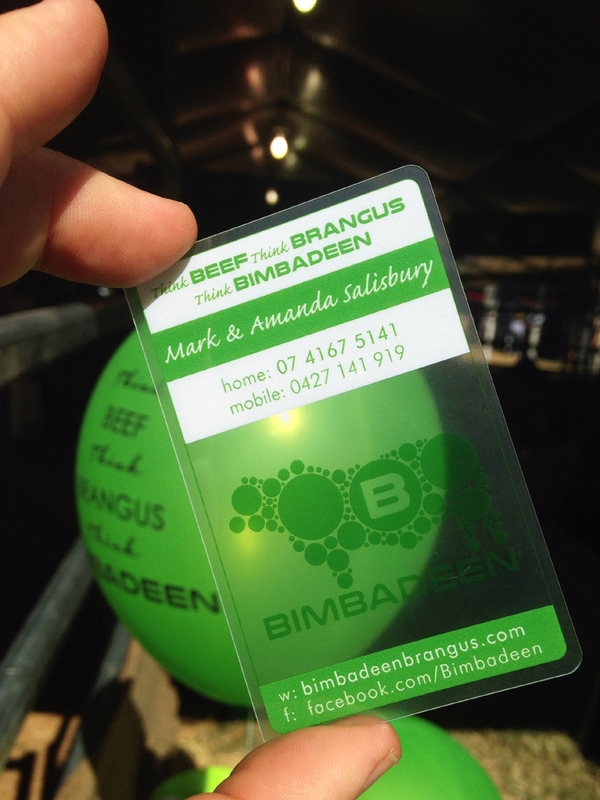 Among the draw cards for the Bimbadeen site will be ‘the Bimbadeen Experience’… we don’t want to give too much away but hope that you can join us at Beef, to check out our display, inspect a selection of Bimbadeen heifers and bulls, and to catch up with Mark and Amanda.